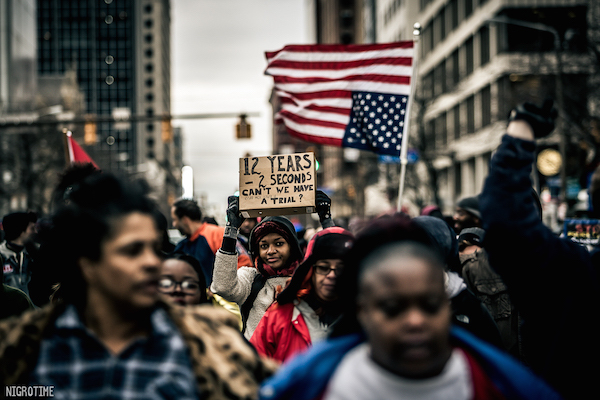 While police brutality towards African-Americans is not exactly unheard of, things only become even more appalling when you discover that they not only hurt and killed someone who was completely innocent, but is also a minor who was doing nothing except for playing at a local park. 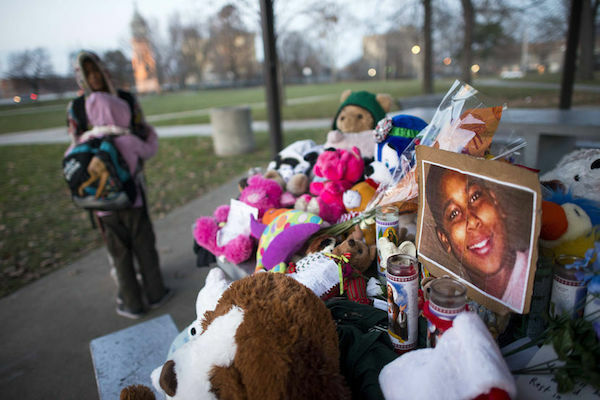 Let’s take a look at the horrifying case of Tamir Rice’s shooting. 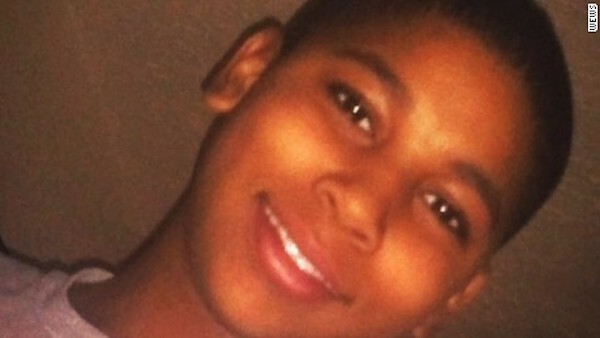 Tamir Rice was a 12-year-old who was shot and killed by a cop just because he was playing with a toy gun. Loehmann is the incompetent cop who shot and killed a kid for playing and enjoying a day at the park. 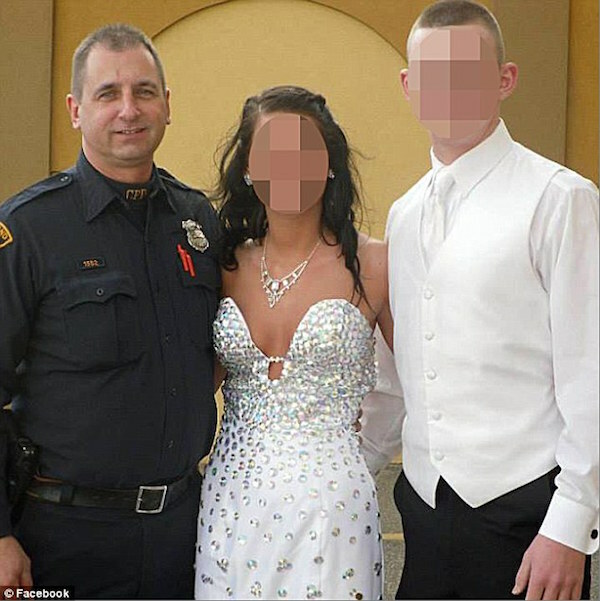 Garmback was the officer who tackled and choked Tamir’s sister for wanting to rush to his aid after he got shot. The dispatcher failed to relay to the cops that the gun was suspected to be fake, which proved to be fatal. 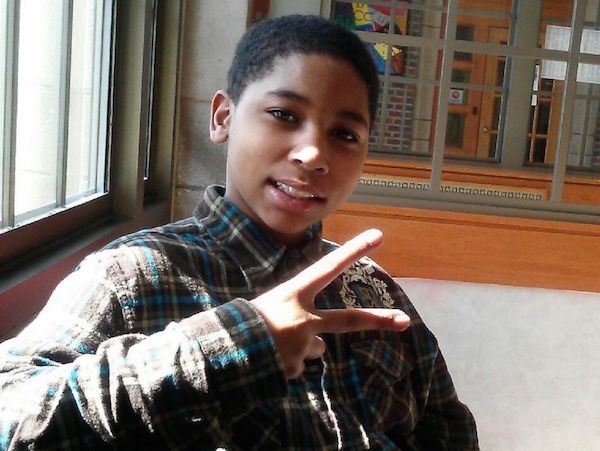 The gun that Tamir was playing with was just a toy and couldn’t do any harm to anybody. And yet, it was the reason for his death. 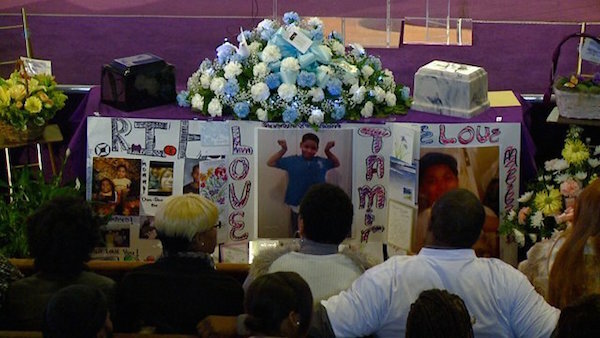 A surveillance video of the shooting was released 4 days after Tamir’s death, but was still not enough to satisfy people who wanted justice for the boy. Isn’t that too much when you just want to apprehend someone? Does it really need to reach the point of killing someone? 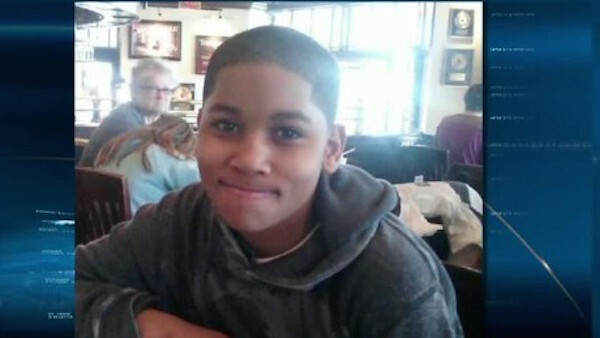 The surveillance video showed Tamir hanging out at the park, even answering his cellphone at one point. 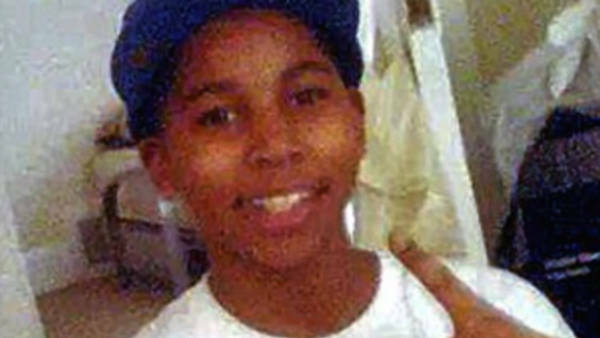 The next moment, Loehmann was seen exiting the car and immediately shooting Tamir without even confrontation. The two officers on the scene didn’t attempt first aid on the kid. 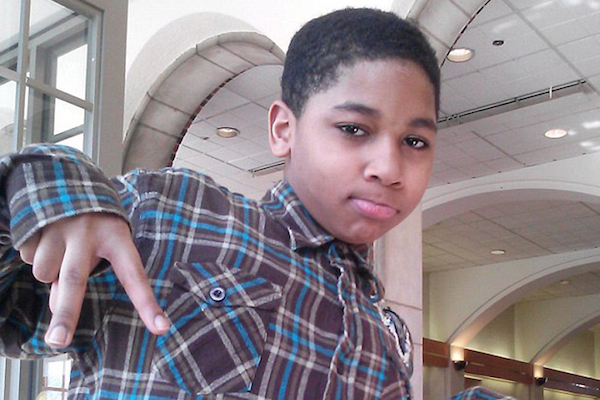 It took 3 minutes for a detective and an agent to attempt to rescue Tamir, and another 4 minutes before paramedics rushed him to the hospital. 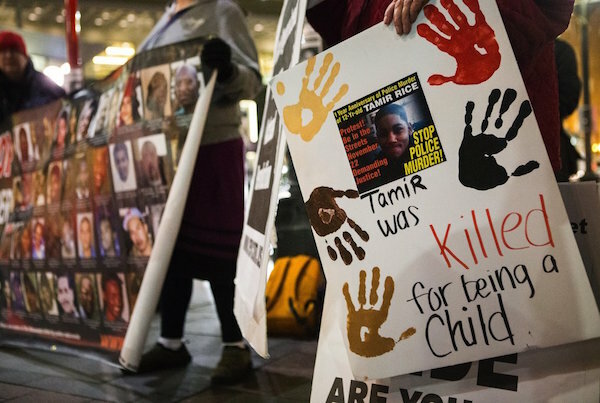 Tamir’s mother recounted that the toy gun was given to her son by a friend, and that her daughter was tackled when she tried to approach her brother. She was also threatened with arrest when she was inconsolable after seeing her child’s dead body. 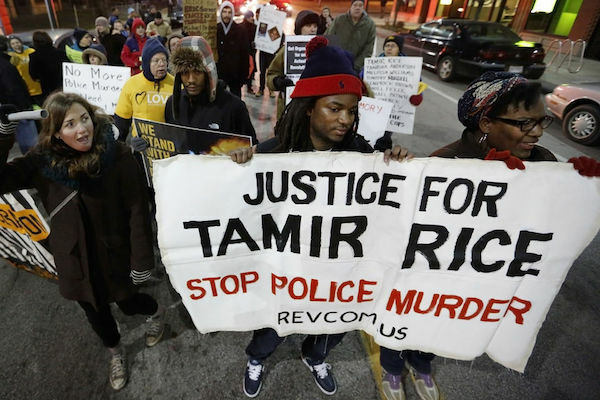 The second video showed how the cops tackled, choked, and handcuffed Tamir’s sister. It also revealed that it took them 4 minutes before administering first aid to the boy. After 6 months, the sheriff’s department announced that their investigation was almost complete. 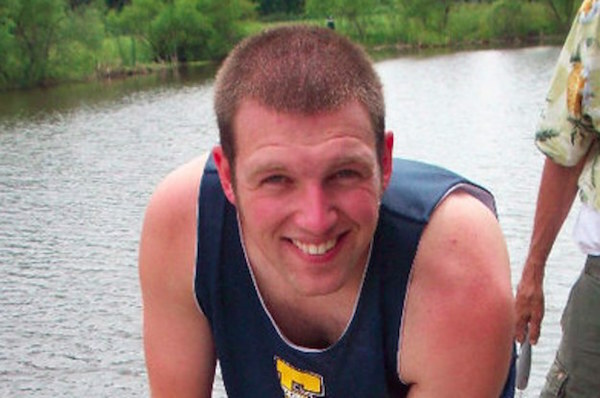 However, none of the officers involved were interviewed, and Garmback wasn’t even under a criminal investigation. A detailed (but redacted) report included numerous interviews with at least 27 people, but didn’t include interviews with the perpetrators. 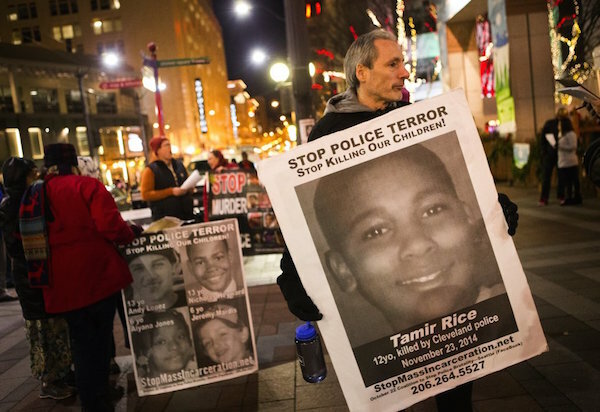 This report heavily contradicted the coverup that the police department was attempting. 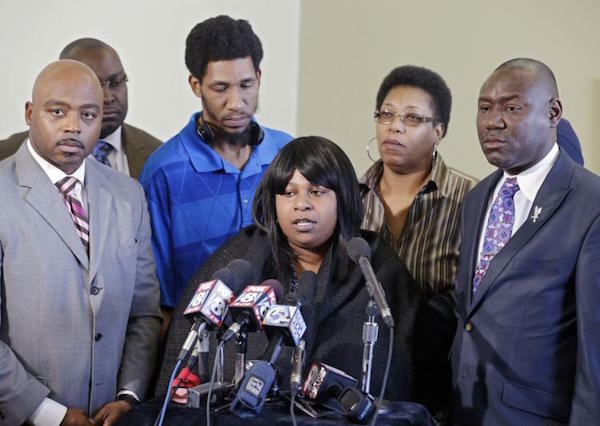 A grand jury decided to not indict the officers, which lead to Tamir Rice’s mother announcing that the case was purposely sabotaged to cover up for the cops. 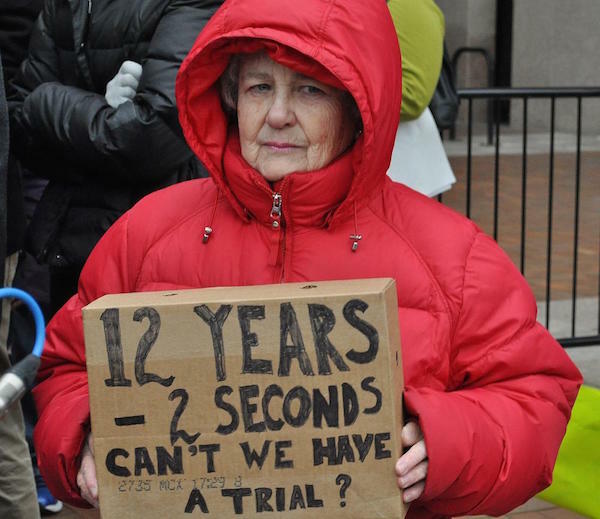 Three expert witnesses who were called for the trial criticized the behavior of the prosecutors, as it was blatant that the two officers were at fault. 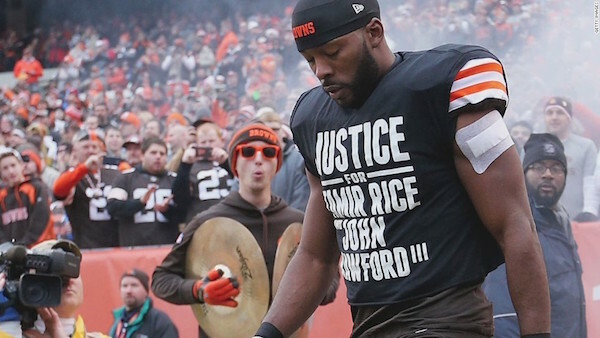 The Rice family filed a wrongful death suit against the city of Cleveland and was awarded $6 million. 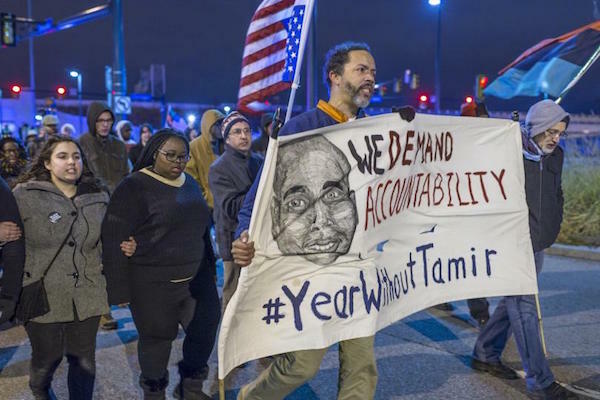 The initial protest for Tamir’s death was minor, however, after a grand jury refused to indict Michael Brown’s shooters, Cleveland protesters were doubly outraged and took to the streets for justice. 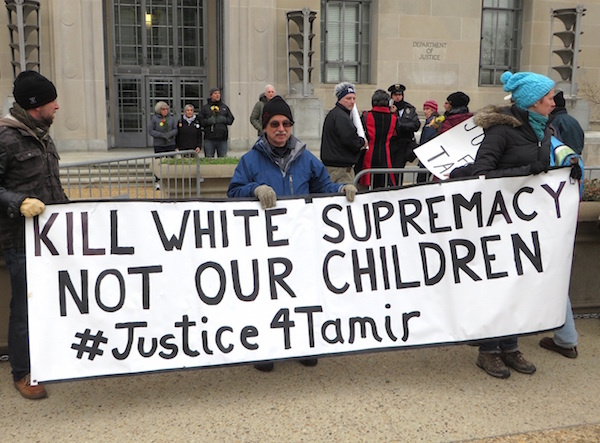 Tamir’s death is also considered as a catalyst for the Black Lives Matter movement in the United States. 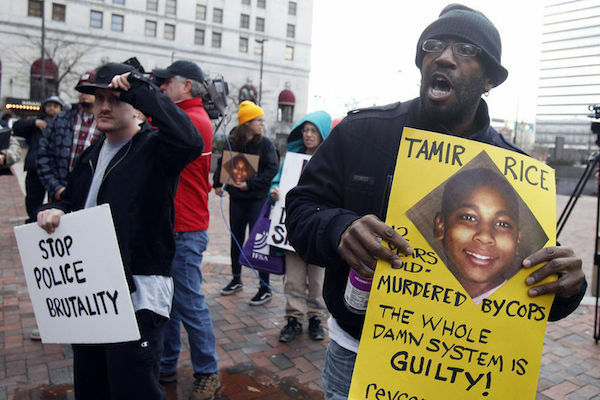 Northeast Ohio Media Group was heavily criticized when they decided to publish the criminal records of Tamir’s parents. 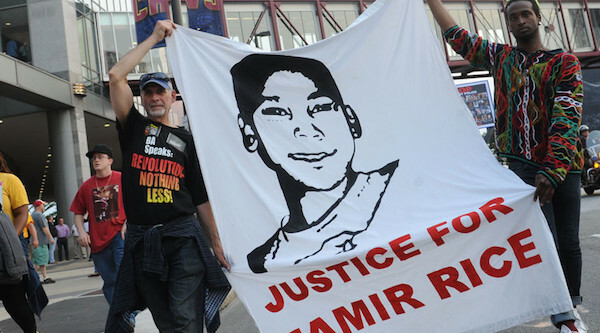 It’s completely unrelated to the boy’s death, so why release it? 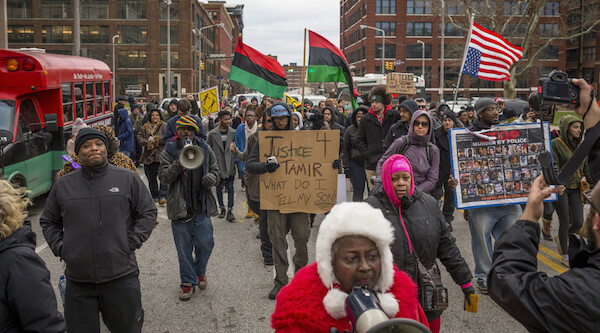 Tamir’s family didn’t want the Ferguson unrest to escalate further with the death of their son. 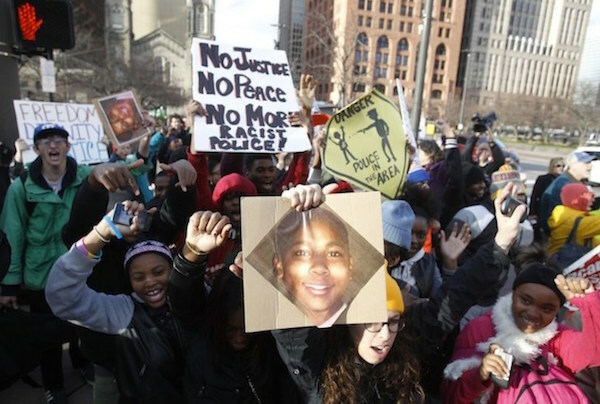 They pleaded for the protesters to remain calm and peaceful in seeking justice. 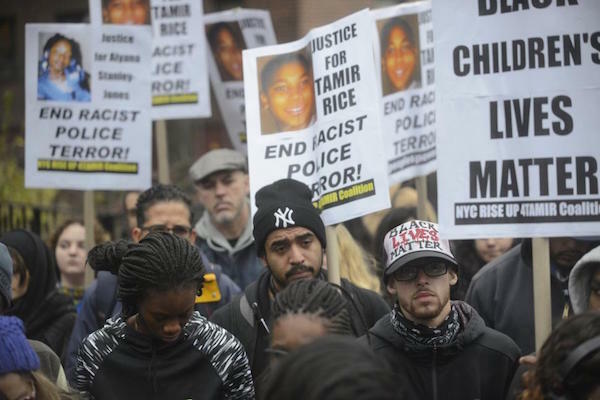 Tamir’s death gained international coverage as it was another killing of an African-American in the hands of a cop in the US. 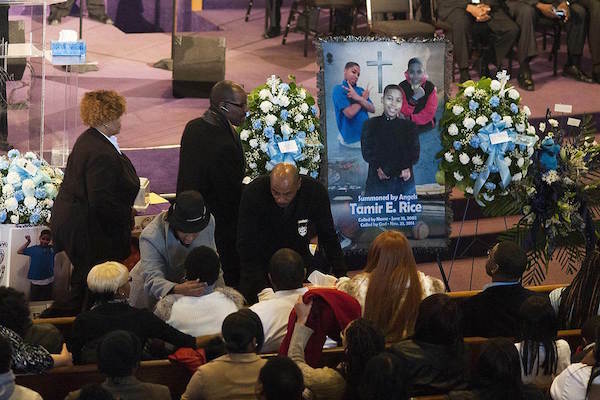 Tamir’s death was made even more shocking because he has his whole life ahead of him at age 12. 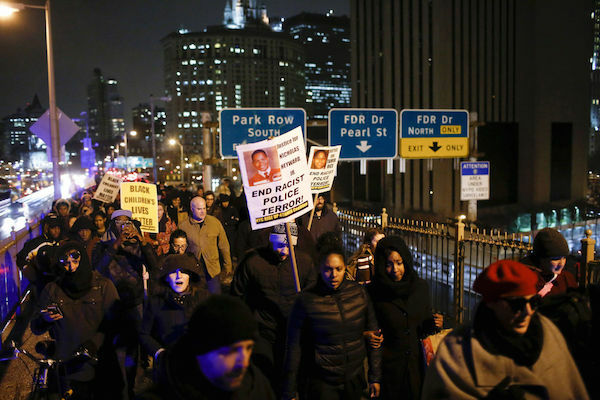 It was quickly snuffed out because of an incompetent cop who didn’t assess the situation before firing his gun.